What does it mean to have an oval shape? 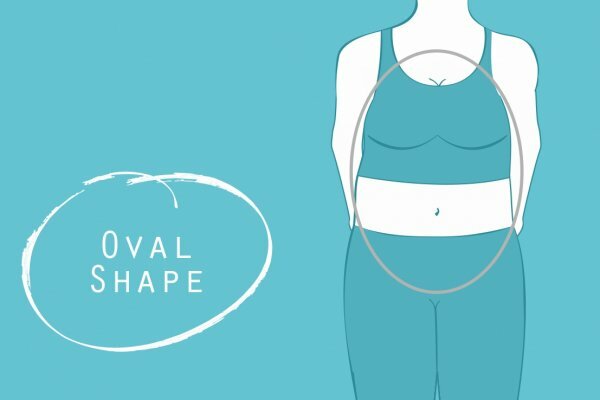 If you are an oval you have narrow shoulders and not prominent hips. The medium part of your body is full and you tend to gain wight there easily. Your waist is not well defined. In most cases ovals will have narrow shoulders, full chest, round tummy and narrow hips. Swirly prints, rainbow colors and Palm Beach vibe is being seen in the gyms and yoga studios from L.A. to San Francisco. You will look and feel great in Hawaiian and tropical prints around your neckline or on your legs. Combine it with blacks or dark blues for an authentic California look. Florals is another big trend this season coming from NY Fashion week. Check florals in soft pastels applied in detailing of your tee or sweater. Liberty prints have been going strong on capris and leggings and you will look dashing combining them with a solid dark tunic (a big runway trend!). Light fabrics with linen-like textures are in style in Europe. From tank tops to long-sleeve tees natural textures have been gaining the spotlight on the streets of Paris. Look for gray-white-black “striped” tees with cutouts on the back or knot details in front. Cozy wins over chic. Soft “meditation” fabrics, mild grays, relaxed raw-edge hems, bell sleeves are definitely In this spring / summer 2018. Want the look? Grab semi-fitted, lightweight, breathable tees that will prove that serenity is the key to beauty. Square or scoop neck tops work great for ovals, specially if the top has some flare or straps that sits mid shoulder pattern at the bottom. Go for loose-fitting tops with details around the neckline. You will be able to wear those to your yoga class as well as on your afternoon stroll on the beach. 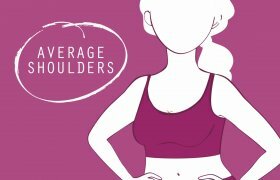 If you go for tank tops select the ones with the wider straps that hit your mid shoulder. Those will give you more support and balance the look. Mesh inserts in leggings and capris will provide extra ventilation (read comfort!) and add to your sophisticated look.